In the past month, the Guardian rediscovered a 28-minute film, called Climate of Concern, that Shell Oil made in 1991. Made for the public and particularly for schools and universities, Shell readily acknowledges the grave reality of climate change, warning of extreme floods, famines, and climate refugees. Shell also affirmed the broad consensus of scientists who agree that man-made carbon emissions are warming the planet and changing climate patterns. Twenty-six years later, this is a stunning revelation given Shell relentless commitment to growing fossil fuel extractions, including their effort to drill in the pristine waters of the Arctic Ocean despite widespread disapproval and protests. 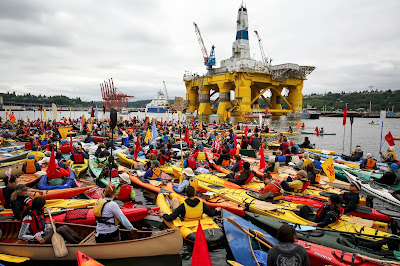 Yet, Shell's inaction and obstruction to address climate change is criminal negligent and heartless. Shell knew that what they were doing would eventually cause global havoc and destruction on a scale not yet experienced by humanity. Yet in the end, the allure of profits in the tens of billions, and its associated power and fortune, Shell remained firmly in the business of oil and gas. A not long ago history offers a comparable action to deceive the public for an industry's benefit: Big Tobacco. Back in the 60s, Science had firmly proven a casual link between tobacco use, cancer, and other associated health risks. Yet Philip Morris and other cigarette companies hired big time public relation firms to muddy the science of tobacco use while using political and media clout to marginalize the other side while accruing grassroots sympathy and support. In this instance, science eventually won in America yet most people are unaware that Big Tobacco continues to prosper on a global scale where they resist, and even sue, other countries' efforts to provide ample warning labels with the health risks associated with smoking. In the same light, Big Oil's actively funded climate skeptic campaigns through conservative, business friendly think tanks and well-paid scientists who are willing to change the scientific consensus. They've given huge sums of money to politician's campaign efforts who will do their bidding to kill legislation that limits their business or gives incentives to clean energy sources like wind, solar, and tidal. Similarly, Big Oil is always ready to go to battle with environmental and social justice activist who are trying to protect the public health and preserve natural land and resources. We would think there would be utter outrage following the discovery of "Climate of Concern". This film itself says how it would be inexcusable to not act on such dire warnings that will come to fruition by the end of the century. Yet, they knew and did nothing! Much of the silence can be attributed to a corporate-owned media that barely pays attention to news related to climate change and is currently transfixed by a president and his administration that are hell bent to tear down the supporting beams of our democracy that will surely benefit the most powerful and influential while our nation's poorest will shoulder the most burden. By as early as 1990 and likely much earlier, Shell Oil knew man-made carbon emissions were slowly heating the plane and that horrific consequences would occur if nothing or little was done. Through both Democratic and Republican administrations, Big Oil has remained at the top of the corporate food chain with obscene profits and unfettered power. I hope that someday this film will be used as evidence in a court of law, holding Big Oil legally accountable for the loss of life, suffering, and displacement that is already happening now and exponentially into our future. Shell KNEW! I had the good fortunes of recently re-connecting with a friend thru social media who I lost touch with since high school. For sake of anonymity, I'll refer to him as Jim. In recent days, Jim had responded to a few of my FB posts about climate change and yet he remained unclear where he stood on the issue. When I asked him directly, Jim shared about his uncertainty of the existence of climate change and tended to believe that humanity's influence on our climate was impossible to know given that our earth has experienced many climate changes throughout its history without the aid of people. Jim's position mirrored what I recognized as the official stance of the conservative climate denier regarding climate change. It was a quiet Saturday morning at home, which is not always the case with two children, so I took the time to sit down and thoughtfully reply to Jim as to why climate change is real and deadly threat; I posted my response below. I was quite surprised when Jim wrote back and felt I was right yet how hard it was for him to untangle himself from a conservative ideology he'd carried through most of his life. I was so happy to hear Jim make this shift that I shared what I'd written on a FB post that attracted considerable attention and comments. To my surprise, Jim outed himself on the thread and began to converse with others who'd posted comments and before my eyes, an intelligent, respectful conversation ensued about climate change and what needs to be done to address it. Now I suspect Jim was already on the bubble about climate change and my influence helped him finally let go of his old, misinformed beliefs to see the truth of climate change. Yet, I do want to highlight that my willingness to continually speak up about climate change in a thoughtful and civil manner was essential to Jim hearing what I had to say. We all need to resist judging those who believe otherwise (with the possible exception of those in power who I believe purposely deceive the public) or those who have taken an apathetic stance on climate change such as "Oh, I don't get involved in politics" or "What could I do anyway". For those of us who get the Science of climate change, we understand that this is not an issue we can just look away given its vast and deadly impact on life as we know it, particularly for those most vulnerable and who had nothing to do with creating the problem. We must press on and stay the course of empowerment to not only take individual responsibility for minimizing our carbon footprint and standing up to fossil fuel interests but also calling others to do the same. The current political landscape of America couldn't be worst for addressing climate change and it would seem easy to lose hope, yet I hope my story of Jim brings hope and light moving forward! Back in the 70s, Science discovered that our actions were causing a hole in the stratosphere layer of our atmosphere due to the use of chloroflouracarbons ad similar chemicals. We listened to science and took action, banning CFCs and other similar substances. Problem fixed. Science is now telling us that the use of fossil fuels as well as release of methane is causing our planet to warm, understood as a simple scientific concept of the greenhouse effect. 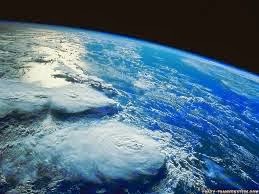 The atmosphere is finite and closed , causing greater amounts carbon dioxide to be present as well as absorbed in our oceans. We can actually measure the amount of CO2 as we recently passed 400ppm; Science says we need to keep it around 350ppm if we hope to ward off the devastating effects that come along with a warming planet. What's particularly sickening is that those most affected in the world will be those from impoverished countries who have a minimal carbon footprint and really have nothing to do with creating these circumstances. Science is showing us lots of evidence that our planet is warming and climate becoming unstable: polar ice caps melting at an unprecedented rate; record breaking global temps year after year, a mass die off of coral reefs due to a warming ocean, and extraordinary storms and droughts across the planet. Science can easily predict future models of where we are headed given our current and predicted future rate of carbon use, estimating a planet 10-12 degrees warmer which too me is a frightening reality to consider. Its hard for me to understand how people just come to accept that this is the natural evolution of the planet and conclude why do anything about it. The Science is clear that the widespread use of fossil fuels and methane is a bad for the current biosyjtem that supports all of life on the planet (and has for at least the past 65 million years). I believe we can all agree that fossil fuels is a particularly dirty pollutant with tons of health risks. And now we know that by way of Science that our use of it is literally changing the bio-mechanisms of our planet. Yet much like the tobacco industry who put out propaganda to dispute the science that cigarettes cause lung cancer, powerful corporate interests and their allies in our government have smeared the findings of Science. It is bad for their business model and their own greed fuels them onward. They've successfully created propaganda that says somehow you are betraying your conservative ideology to accept Science which to me is absurd. What is being asked here by advocates of climate change? That we end our dependence on fossil fuels and move quickly to truly clean and sustainable energy sources like solar, wind, tidal, and geothermal. That we invest and incentive these energies which are ultimately healthier for people and the planet. That our actions actually reflect a love and respect for life and we do all we can to protect life and live in harmony with it. Seems like basic Sunday school stuff to me. It will require a sacrifice for many but well worth it if we truly love our children and grandchildren who will inherit the mess we are creating. (I know so many people who love their children with all their heart yet seem to have no interest in protecting the future their children will inherit). Its dumbfounding to me to fall suspect to mankind will eventually die off because that is how evolution works when there is an answer right in front of us. Yet in the current political and economic realities, it will require that hundreds of millions of people across the globe stand up in solidarity to the powers to be that continue to deny global warming and double down on fossil fuels. The people truly have the power to create an energy transformation and this revolution has already begun and everyone is welcome to join. It is our collective actions that can make the difference and alter a most horrific trajectory that we are currently on. I implore everyone to take the time to educate themselves on the Science of climate change and make time to be active in the solution. There is so much that can be done and our collective efforts can make a huge difference! When we allow ourselves to truly "love" life with all our being, as well love our children, how we cannot want to do all we can to protect and preserve it. The bottom line is Every Carbon Counts on the road to tackling climate change. Humans' activity, primarily burning fossil fuels, is releasing massive amounts of carbon dioxide into the atmosphere, intensifying nature's natural greenhouse gas effect. So ultimately, we need to recognize that every carbon we keep in the ground is precious in our pursuit to reach a threshold that will make the needed difference in our planet's future. The scientist are now sounding the bells and declaring that we are nearing the point of no return. There is a tipping point for the greenhouse gas effect in our atmospheres where the heat intensifies exponentially, building upon its own strength. And once the carbon is in the atmosphere, it takes hundreds and hundreds of years before the earth can once again capture it. 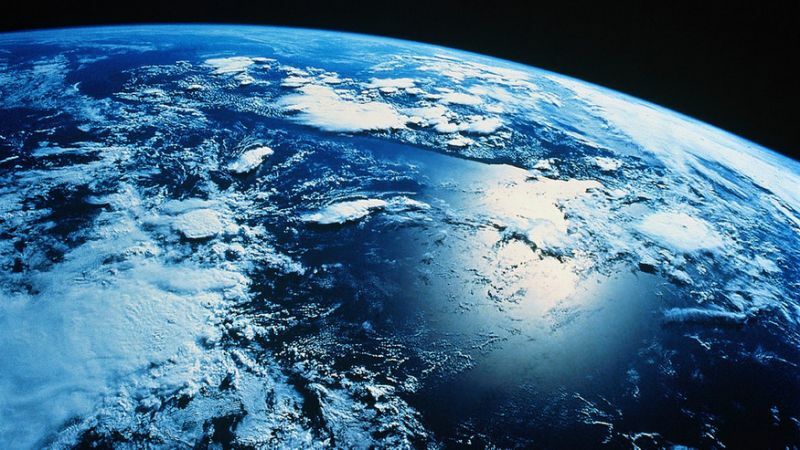 The planet has already warmed .8C and is certain to reach 1.6C. Our current and predicted global emissions have us targeted for a 4C to 5C increase in heat that will cause unimaginable suffering for future generations. Science is amazingly smart about its understanding of how nature works and they know that we need to keep the carbon dioxide at 350ppm to be sure we are safe. Before the advent of manufacturing, the earth was historically around 275ppm based on precise readings from ice core samples. Well, we surpassed 400ppm marker this year and there is no end in sight. Yet, science has calculated how much carbon needs to stay in the ground to avoid the worst of a warming planet and we've yet to figure out a plan to get it done let alone make it a priority. Let me start with the bad news and then end with good. The scientists' warnings are getting drowned out by the current status quo where politicians dance around the issue, media marginalizes it, and the fossil fuel industry is the wealthiest ever known in history. They've got people confused about who are the good people and what is really happening. Our culture went through a very similar process back in the 1970s when it was learned that cigarettes were causing lung cancer. The status quo did everything in their power to keep things the same and it took people quite some time to figure out what was happening. Unfortunately, the scientist are telling us we have little time to make real changes before there is no hope. The good news is that we do have real solutions and that our great nation is known for innovation and technology. The use of solar and wind power is growing exponentially. Communities all across our nation are exploring ways to be more energy efficient and to limit their carbon footprint. People are embracing an attitude of reduce, reuse and recycle while looking for ways to live earth friendly. People are beginning to make their voices heard that it can no longer be business as usual and that we have a real threat that requires immediate attention. 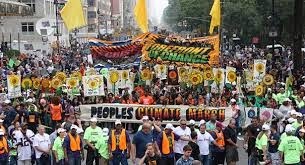 The over 400,000 people who marched together through New York City in September are energized and ready for action. So I am sounding the alarm that the time is at hand for everyone to come aboard and take on the job of transitioning to a clean, renewable energy future. The tine is now to get your hands dirty and do the grunt work necessary to sway public opinion, inform public policy, and minimize our carbon footprint. I believe this may be the greatest threat ever facing humanity and will require that the citizens of the world working cooperatively together if we ever hope to succeed. And through this, we may all come to live in harmony with the sacred web of life that nourishes and sustains all living beings. What a powerful image as these protesters attempt to stop Kinder Morgan's efforts to test drill for a proposed tunnel through Burnaby Mountain. 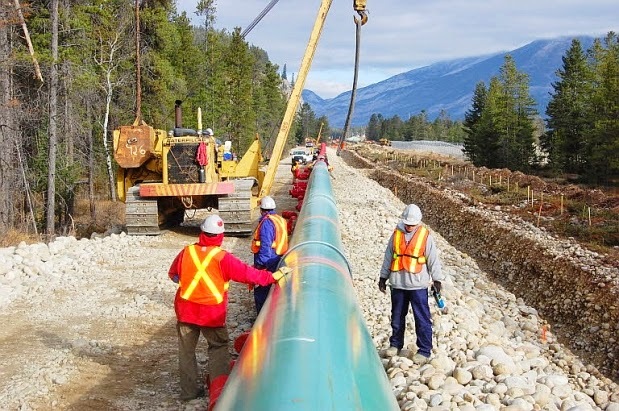 Kinder Morgan wants to expand its Transmountain pipeline whichch stretches about 1,000 kilometres from Edmonton to Burnaby, transporting both crude oil and refined products to the west coast. The new pipeline would triple the carrying capacity of the current system, bringing 890,000 barrels per day of unrefined oil (an equivalent to 7 millions added cars on the road) to Burnaby for export via Burrard Inlet. Pipeline protesters have set up a blockade at the work site where surveying is being conducted. Kinder Morgan sought and won an injunction in B.C. Supreme Court to have the protesters removed. 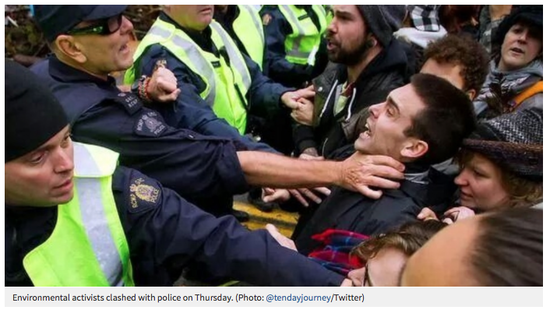 Over 50 arrests have occurred since protests began in September of this year when Kinder Morgan workers cut down 13 trees in the conservation area for its survey work, which the city of Burnaby said contravened its municipal bylaws. There is a diverse group of protestors that include those who are concerned about an oil spill, the development of the tar sands and its effect on climate change, and a corporations right to access and use public lands. Furthermore, First Nations also claim that they have yet to be consulted on the project as the pipeline is proposed to cross their land. Many of the protesters are Burnaby residents, who don’t want the pipeline running through their backyards and have formed a group against the pipeline called BROKE or The Burnaby Residents Opposed to Kinder Morgan Expansion. The group says it is concerned about Kinder Morgan’s plan to ship three times more oil from the oilsands in Alberta, and are worried about the environmental impact in the event of a spill or leak. Kinder Morgan is suing BROKE for $5.4 million for trespassing on the Burnaby Mountain Conservation Area. BROKE says the land is protected for the people by City of Burnaby bylaws and contend that Kinder Morgan is ignoring municipal bylaws. This current battle is one that needs to be fought all over the world if we ever hope to do the work necessary to significantly reduce our carbon emissions. Big Oil has had its way in our world for a long time with profits in the hundreds of billions annually. They corrupted the Canadian government which once led the way on climate change. But that was before Transcanada and the Koch Brothers realized the incredible profitability of extracting the tar sand oil from the pristine Canadian Boreal Forest. Yet, they never expected any resistance to pipelines which are necessary to carry the massive amounts of heavy, toxic sludge for processing and then to port for global consumption. With the project landlocked, Transcanada is having a difficult time realizing the maximum potential of profitability and don't appreciate not getting their way. If you understand the science of a warming planet caused by man-made carbon emissions, then you understand why we must find a way to win these battles against Big Oil. We are nearing the tipping point for a planet that is sure to be two degrees warmer with a trajectory toward 5 to 6 degrees. Such a future does not bode well for most of the species currently living on the planet and is sure to create immeasurable suffering and hardship for our grandchildren who will one day inherit our legacy. The good news is we still have a small window left open to make the Great Turning to a clean, renewable energy sources and that much of the technology and ingenuity is awaiting our investment. Like the Whos of Whoville, the time is now to raise our voices together and get loud enough so our demands for a clean energy future are met! 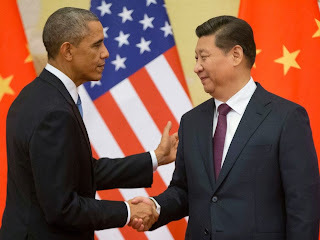 What a wonderful surprise I was treated to this morning when saw that Huffington Post's headline was President Obama and Chinese President Xi Jinping's agreement to take ambitious action to limit greenhouse gases. The US set a new target to reduce greenhouse gas emissions by 26-28% by 2025, a sharp increase from our current goal of 17% by 2020. As for China, their public acknowledgement to take action about greenhouse gas emissions is an unprecedented move by a nation reluctant to agree to any goals. Although China continues to build coal plants for their booming economy, President Xi set a target for China's emissions to peak by 2030 while also pledging to increase the share of energy that China will derive from energy sources other than fossil fuels. This agreement between two powerful nations is a historic step in our efforts to slow down global warming. Many other countries have been reluctant to make any agreements or commit resources without US and China, the two major polluters of greenhouse gases, taking significant steps. President Obama's accomplishment to reach such an agreement with China speaks highly of the diplomatic relationship his administration has worked to create over the past 6 years and will set a positive, optimistic tone for next year's climate summit in Paris where a worldwide treaty will be finalized to combat global warming. Environmentalists are speaking highly about this unexpected development between US and China. China's willingness to be part of the global solution is sure to have a great impact on the contributions of other nations. Similarly, the US's willingness to set more ambitious goals sends a message that we are serious about global warming. Yet, this is a just one "step" in a long and complicated process to combat global warming. We will need to work together as a nation to meet a 26-28% reduction of greenhouse gases which will require determination, sacrifice, and innovation. We will need to repeatedly stand up to the the GOP, multi-national corporations and others who are determined to keep the status quo and do not care what science is telling us about the horrific global consequences of a warming planet. Equally if not more important, the apathy of many Americans will need to be confronted as we will need tens of millions of citizens to make their voice heard and take meaningful action, if we ever expect to rise above the powerful and rich influences who stand in our way. Here is a fascinating part of the KeystoneXL pipeline in that its proposed route goes through several indigenous nations, both in Canada and United States. The indigenous nations have no interest in allowing the pipeline on their land and clearly recognize that the crude tar sand oil is poisoning the water, killing the trees, and making their people sick with cancer. The time is now for us, the immigrants to North America, to stand along side the native people and help them to protect their rights and their land. This short 9-minute video highlights the plight of the Wet'suwet'en Nation of Canada to confront the massive oil and gas drilling operation happening right now in Western Canada. I am not surprised that the oil and gas companies are moving forward without regard to the Wet'suwet'en Nation, going as far as coming on to Wet'suwet'en land without permission to prepare for laying the pipeline. (This too is happening in the US, with people losing their land without a choice, even though Transcanada does not have permission to build the pipeline). I am in awe and reverence of the Wet'suwet'en Nation who are vigilantly protecting their land from Big Oil. It would be my dream to some day travel to their base camps and have a firsthand experience of their rich culture and to let them know how much I respect what they are doing! Our ability to lend support, financial or verbal , is a significant thing we can do as part of the Great Turning away from toxic fossil fuels to a clean, renewable resources that help us protect our precious air, water, and soil. motivated to strive for our full potential. 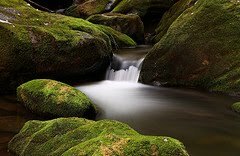 Core to our spiritual nature, we are endowed with vital, intangible life forces that move within and around us, assisting our journey to authenticity. These forces are not unique to humans but are woven within the fabric of the universe. I simply know these energetic entities as Body, Heart, Spirit, and Mind. None is more divine, relevant, or powerful than another but rather, each is a fundamental part of the collective oneness. When we harmonize our thoughts, feelings, and actions to their rhythms, our consciousness expands and we transcend into a more integrated way of perceiving ourselves and the world around us. Body is the essence of Mother Earth whose life-giving energy feeds and nourishes us. We share her creative powers and through our bodies, we have the potential to birth beauty, harmony, and love into the world. Heart carries the essence of the moon, the living waters, and the Divine Feminine. Heart flows naturally with compassion and gratitude and pulls us deeper into life’s great mysteries. Spirit is the essence of the heavenly realm where a vision of unity and fulfillment is actualized, waiting for us to step further into this truth. Mind carries the essence of fire and the Divine Masculine, as embodied in our sun. Mind illuminates darkness, within and without, and provides wisdom to navigate the obstacles and challenges present in our lives. The Center, our Soul, is our sacred place in the universe. It is where we infuse Body with Spirit and balance Heart and Mind. 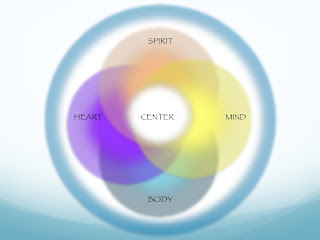 The Center is where we remember our inherited divinity and the interconnected nature of all life. The Center is where we release the identities and preconceived notions that no longer serve us and compassionately heal the old wounds that weigh heavy within us. The Center is where we become empowered to be a student of life rather than a victim of our circumstances. The Center is where we give freely of ourselves and express gratitude for all we receive. The Center is where we live without fear, allowing love to define our reality. The Sacred Act of Becoming was first published in the August 2013 issue of WNCWoman. Bob Hanna, PhD is a psychologist in private practice in Asheville, North Carolina. He provides holistic integrative psychotherapy to adults, couples, and parents who desire to live more fully in their lives and to move beyond anxiety, stress, depression, low self-esteem, anger, trauma, addiction, conflict or unhealthy behaviors. Dr. Hanna is mesa carrier of the Pachakuti Mesa Tradition, a Peruvian shamanic practice with cross-cultural applications, rooted in the Peruvian spiritual methods of sacred relationship with the Earth. Visit www.bobhannaphd.com to learn more about Dr. Hanna or to schedule a session. Conscious Ecology recognizes that humans interdependently participate in a complex web of life on one planet, Earth. All life shares a deeply profound story of our universe created some 14 billion years ago. We have literally evolved from stars and play a great role in the continual, creative unfolding of Earth. Many humans have forgotten their place in the world and instead live through a narrow ego-centric perspective vulnerable to fear, depression, addiction, and hostility. The egocentric perspective is the root of much suffering, past and present, while also a potential catalyst for transformative change. 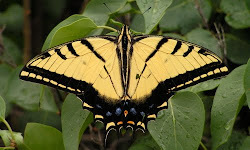 When transcending beyond the egocentric perspective, we embrace a fresh sense of presence as sacred, creative, interdependent beings who can lead fulfilling lives.